There are scales to heritage – not every heritage is of global importance. In fact, I’d argue the heritage we value most are those that are personal, intimate, and immediate. After all, it is blood that is our most innate form of heritage, and that our first and most powerful heritage experiences are with our families. The playing and watching of sport, particularly with a parent, is often positioned as a kind of heritage experience. One text that rather wonderfully describes this process is Tom Stanton’s The Final Season. Ostensibly, it is about Stanton watching the Detroit Tigers during their final season at Tiger Stadium – a beloved ballpark that has since been demolished. So, in some respects, the book is about a more extrinsic heritage – that of the historic sports facility. However, the book is much more about an existential type of heritage, as it is about sharing and recalling his experiences with his own father at the stadium, as well as creating new memories with his own children while watching baseball during the final season at the park. In some ways, it is about our own mortality, and that places like stadiums are witnesses, conduits, and perhaps even warehouses for those shared family experience. I think of this today as I recall the many evenings spent with my own father sporting events, particularly at Northlands Coliseum (nee: Rexall Place) watching the Edmonton Oilers hockey club. That stadium will soon be replaced and what I’ll miss most – and what I’ll consider heritage – are not the players, the banners, and the seats, but the many cold Canadian nights spent with my dad. Thankfully, we still watch games together – though, it is no where near as frequent since I moved – and I know when the inevitable happens, I’ll treasure those nights even more. Now that I have my own son, I try to take him to as many games as I can. 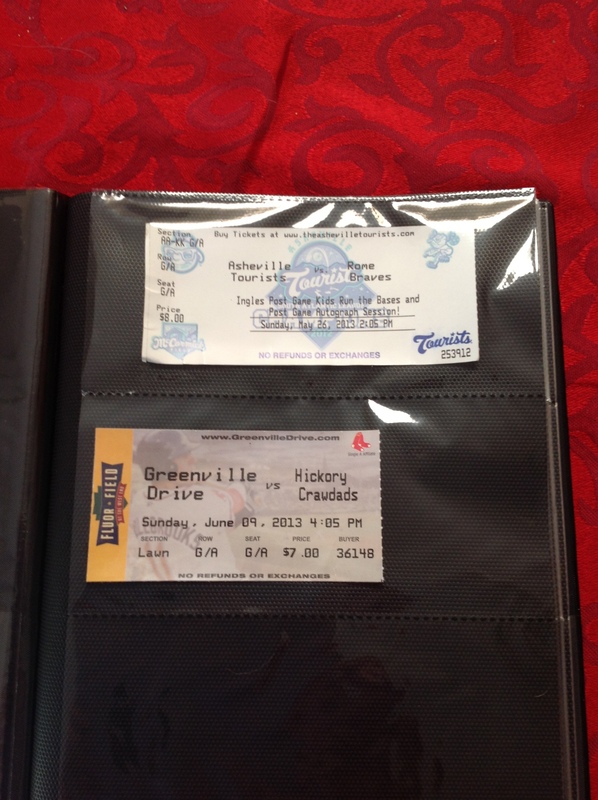 I’ve even started a collection of ticket stubs for him – his own sport heritage inventory, as it were. He’s still too young to take much of the games in, and I know that going to them is more for me than for him. Still, I hope he’ll look back on them fondly, as I do with my father. By Gregory Ramshaw in Uncategorized on June 16, 2013 .